Since 1996, Ryan has proven to be a hybrid of both a Technology Engineer and a Client Relations Manager. With verifiable military and commercial references across the state of NJ and VA, Ryan continues to support, design, and deliver high-end solutions for today’s business challenges. Ryan’s business approach is to be open & honest, to be educating, and provide multiple solutions to any one problem or need. “If your only tool is a hammer then every problem looks like a nail”. For just this reason, Ryan will present three solutions to any one problem and label them “Good-Better-Best”. All in effort to help you choose wisely when it comes to your business needs. Ryan first began his career in the technology industry in the year of 1996. At this time, he enlisted into the United States Navy where he absorbed 36 months of extensive hands-on technical training at the Naval Academy. Shortly after graduating top of his class, Ryan was deployed to the Middle East for his first duty station. His responsibilities have now elevated to deploying voice & data networks critical to our National Defense. Ryan has earned the title of expert in his field for consistently designing and deploying “on-the-fly” temporary hospitals and ground control stations for emergency situations. “Petty Officer Anderson’s skills, efficiency, and devotion to duty during combat situations in Kosovo and Afghanistan reflect great credit upon himself and the United States Naval Service. I extend my personal thanks for a job well done!” – Commanding Officer of the U.S.S Nicholson DD982 Captain A. L. Urrutia. Petty Officer Anderson was discharged with Honors in the year of 2002. Since coming home, Ryan has been heavily involved in every stage of long & short-term technical engagements for various premier vendors and customers seeking upper level guidance. Ryan has a people friendly component about him that is often missing from today’s service industry. Ryan’s friendly and honest demeanor secures strong and long-lasting relationships with our customers. His marketing strategies, high level visual aids, and upper-level engineering advisory and negotiation skills are not easily matched. His ability to easily speak with customers of various hierarchies and positions of title is what makes him successful. 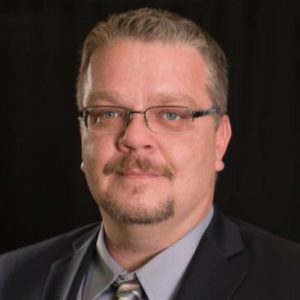 Ryan currently serves as the General Manager of Local IT and Security with primary responsibilities for developing, deploying, managing, and servicing complex roll outs of various technologies. 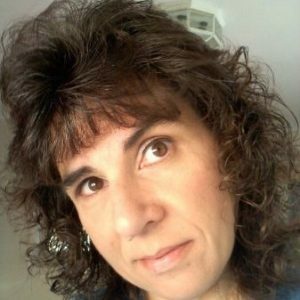 Paula is a combination of a Technology Manager and Lead Accountant. With her 20 years of experience in the industry, she has managed to setup all associated procedures for accounts receivable and account payables. While going through the experiences of wearing many hats in a growing company, Paula has found the time to educate herself to obtain a deeper understanding of HR compliance. All these experiences come together and make her a good fit for creating and managing our company manuals, our safety compliance manuals, and countless other internal processes and procedures. Paula’s has a full understanding of State, Municipal, and Government spending habits and procedures for engaging such entities. Areas of applicable expertise include PO’s, Invoices, RMA’s, Quotes, Bid review, and all things payroll. Very well suited for high paced situations. Works well in a group and works just as well independently. Aside from just being a great person to work with, Paula has made herself one of our most valued assets here at Local IT and Security. Jennifer joined our team and brings with her 20 years of managerial and sales experience. Her unique and rarely found combination of experiences are a benefit to both the team and our customers alike. She consistently delivers high level technical guidance to our customers and also serves as manager and mentor for our junior sales team. Her in-depth understanding of today’s technologies and how they directly apply to today’s business challenges is quite rare and unique. Her philosophy for the sales process is that “no one size nor solution fits all”. 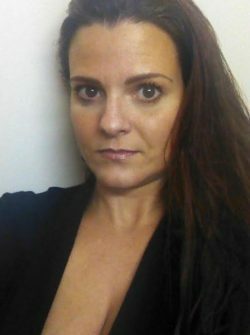 With her technical background, she is very informative and precise when educating customers on products and services. Having a project management background, she is able to serve as a single point of contact to our customers during the installation process. Jennifer proves over-and- over that multiple solutions always exist for any one need or problem. Rich Spiegal has risen through the ranks of our help desk department and has recently earned the title of Help Desk Manager. His primary roles and responsibilities include managing the Call Center, monitoring and mentoring our junior technicians, as well as customer point of contact for service calls.